An age old way to stay protected on the battlefield, chainmail uses interlocking rings to provide its wearer with protection. 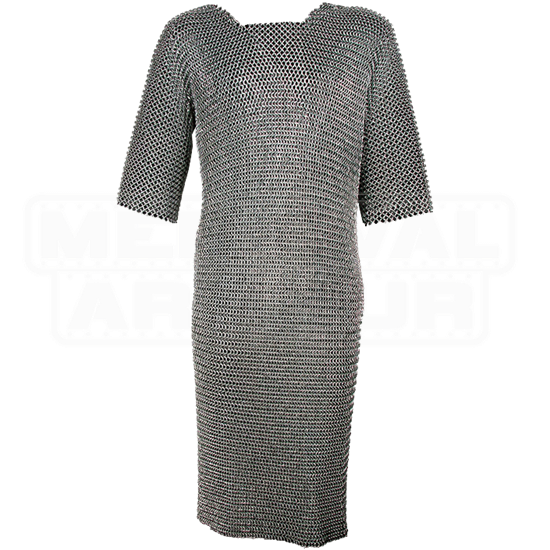 Try the Ragnar Chainmail Hauberk for an authentic look at your next LARP or historic reenactment event. The butted rings are made of mild steel, and each ring interlocks with four other rings in a 4-in-1 design. The armpits are reinforced with riveted rings to combat the stress of movement. 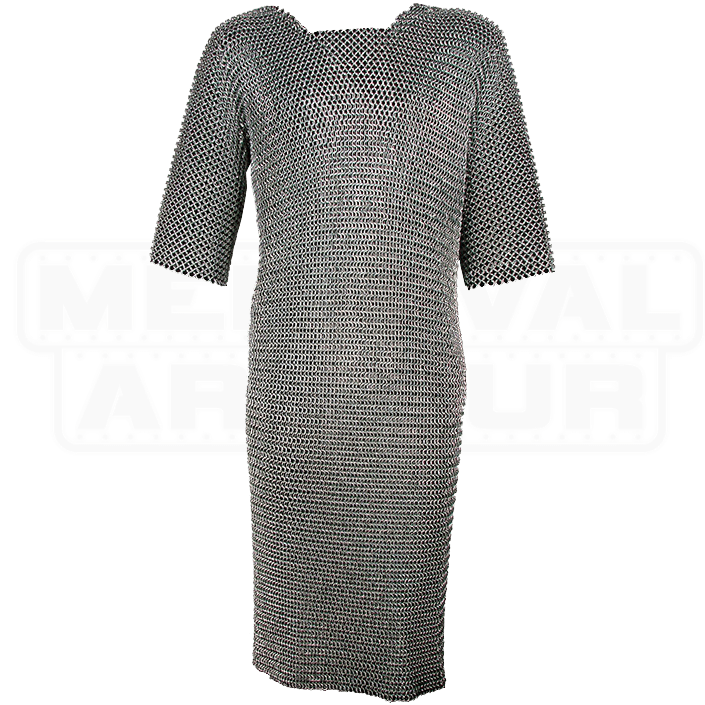 Providing protection from the shoulders to the thighs, the Ragnar Chainmail Hauberk is great for getting comprehensive coverage. The short sleeve style allows for increased movement on the battlefield. Due to its handcrafted nature, this piece may display slight variations. Wear this chainmail hauberk over a gambeson for comfort, safety, and authenticity.